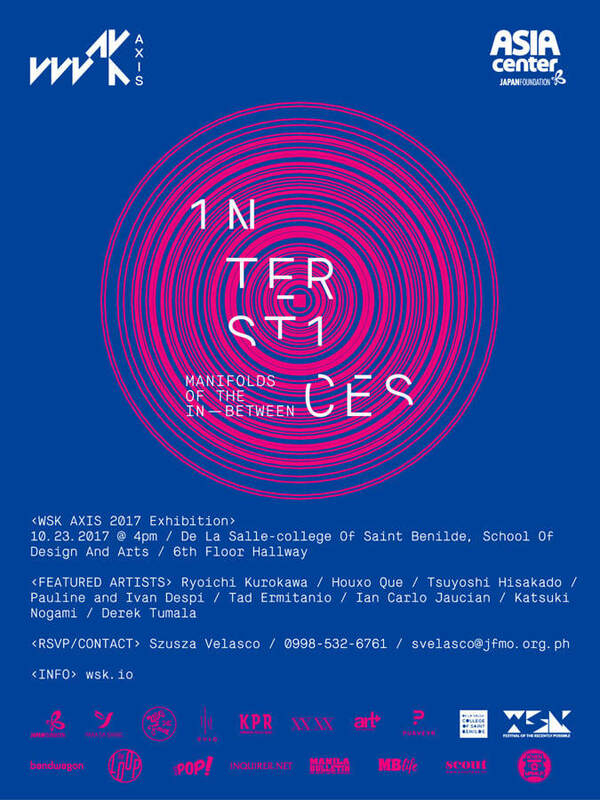 WSK, formerly known as Fete dela WSK, is one of the best multimedia festivals in Manila, with performances, artist and curator talks all week - from October 24 to October 29 in different venues across Metro Manila. WSK is one of the rare major local events that examine music beyond what it's typically known as in a popular sense. It's also a gathering of artists and listeners who share a similar deep fascination with pushing the boundaries of sound as we know it. Whatever you've ever thought music was--melodic, discrete, comprehensible,--there's something in WSK that will defy it. For that reason, it's something that shouldn't be missed. Line-up: Lush Death x Dethomega x Slay Your Boyfriend, Kahugyaw x Drago Katzov, and To Die (Indonesia). The night features a range of performers pushing exploring the qualities of sound, transforming it through the use of technology, distortion, modulation, or sheer ingenuity. Is it music, or is it noise? Is there any difference at all? You're more likely to walk away with more questions than answers. Described as a "celebration of the experimental spirit that hovers over the labyrinthine soundscape of contemporary electronic music", Labyrinth features the unconventional and esoteric. This is where it gets loud. Featuring a line-up with more live band performances than others and a special appearance by Bombo Pluto Ova from Cebu, this is probably the closest you'll get to a verse-chorus-verse during WSK. And it'll still be wildly different from your regular bar gig. Manila's own Buwanbuwan Collective teams up with Maltine, a Tokyo-based Japanese netlabel that's been operating for twelve years. It's a one-night collaboration between the two collectives where anything could happen. Kamuning Public Radio, a platform for sound art and improvised experimental performances presents. Expect defiantly obsolete technology, saxophones, the Kulintang, and everything in between. They're diverse, but not as vastly different as you think. Check out the full festival schedule here. For more details on the festival, follow their official Facebook page.